Corn starch, sometimes referred to as Corn flour, cornstarch, maize starch and maizena, is a carbohydrate extracted from the endosperm of corn. It is ground from the endosperm or white heart, of the corn kernel. Since corn starch is made from corn and only contains carbohydrates (no protein), it is a gluten-free product. 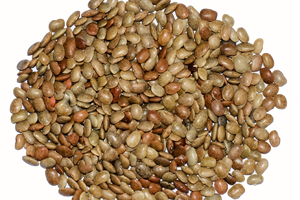 It is not a rich source of vitamins and minerals, it may help boost calories for those who need it, act as a source of energy and prevent low blood sugar in people with nocturnal hypoglycemia. This white powdery substance is used for many culinary, household, and industrial purposes. In the kitchen, corn starch is most often used as a thickening agent for sauces, gravies, glazes, soups, casseroles, pies, and other desserts. It is also used to make corn sugar and corn syrup as well as to manufacture adhesives for paper and fabrics. Cornstarch is really close to corn flour but they are not exactly the same. Starch originates from the inside of corn seeds and is more thickening than the flour, which is made out of the entire seed. Corn starch is actually a pure gluten-free product made from grinding the corn kernel, cleansing the product, then allowing the substance to dry into the well-known powder state. It is derived from the endosperm of the corn kernel (Zea mays), comprising almost 70% of the corn kernel. The use of starch is reported in records of the early Egyptians, who manufactured papyrus using a starch coating. Roman records indicate that those early innovators found uses for starch in foods, medicine, cosmetics and fabrics. It was not until the middle of the nineteenth century, however, that the process for large-scale efficient extraction of starch from corn was developed. Corn, on the other hand, is a New World ingredient, derived from an early version of corn known as Teosinte. For this reason, corn used as a starch source is relatively new. Athlete’s foot is actually a smelly podiatric condition caused by fungus that grows in the top layer of the skin of the foot. Fungus flourishes in warm and wet places, which is why the condition often occurs to athletes, who tend to sweat in their shoes. Cornstarch’s moisture-absorbing power makes it a great preventative remedy. Just sprinkle your feet with cornstarch to keep them dry and prevent fungus from taking root. Cornstarch’s ability to absorb moisture, along with its lack of scent, makes it an excellent ingredient for an all-natural deodorant. Mix three tablespoons of organic cornstarch with four tablespoons of baking soda and five tablespoons of coconut oil. Add five drops of tea tree oil for an optional scent. Work the ingredients into a paste and transfer to a jar. While there are no studies proving this mixture is as effective as standard deodorants, it’s certainly more natural and less expensive. In this syndrome the food rapidly passes through the child’s stomach and the hypertonic contents reach the intestine. This leads to extreme entry of water into the intestine leading to osmotic diarrhea, abdominal pains and cramps, low blood volume and low blood sugar. When these children are fed through gastrostomy, uncooked cornstarch helps slow down rapid emptying of stomach contents. Being a complex carbohydrate cornstarch serves as a source of prolonged and slows glucose. This improves glucose levels in their body relieving fatigue, relieving other symptoms and bringing significant weight gain in the children. Bug bites can become more serious and itchy when exposed to dampness, oil and bacteria. Keep the bite clean and dry and minimize itchiness by applying a paste made of cornstarch. 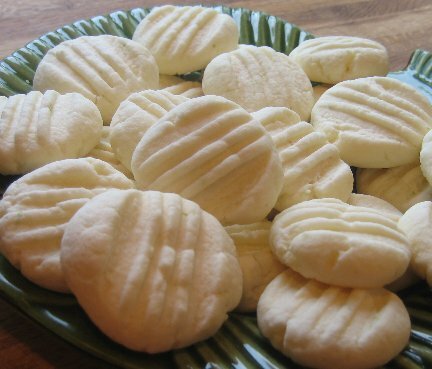 Combine three tablespoons of cornstarch with cold water and mix into a peanut-butter-like paste. Use a gauze pad or cotton ball to apply to the affected area. While there are countless DIY stain-removal techniques, cornstarch comes in handy with one type of stain in particular: oily spills and blotches. Sprinkle the stain with some cornstarch, let it take care of absorbing some of the wetness, and then proceed with your usual cleaning technique. Treat this common problem in infants with just plain cornstarch. Being edible and inert, it is safer than talcum powder and diaper creams, and can be used repeatedly without any worries. Every time you change a diaper, use an old-fashioned powder puff to dust the area lightly with cornstarch. Cornstarch can be used as a setting powder by people with oily or shiny skin. It soaks the excessive oil from your skin and keeps your makeup as is for long. 1 tablespoon of cornstarch mixed with a tablespoon of glycerin and one-fourth teaspoon of rum when used as a facial cleanser removes dead skin. This is because of the mild abrasive property of cornstarch. Its moisture absorption property helps to get rid of sweating of foot when you wear shoes. Just sprinkle a dash of cornstarch and see how it works wonder. Applying cornstarch mixed in lavender oil on your underarms works as a natural deodorant. Cornstarch’s anti-inflammatory properties help to soothe skin rashes, burns and itching. It serves as a quick dry shampoo for cleaning oily hair. You can take small amounts of cornstarch and dust the roots of your hair with it and let it be for 5 minutes. Then just comb out the cornstarch and feel the difference. When your hair becomes excessively tangled you can just put some cornstarch powder on it and comb your hair without any hassle. Since cornstarch absorbs moisture and unlike talcum powders it is not a chemical formulation, it is considered a safer alternative to baby powders. Moreover talc is also associated with cancer and circulatory disorders whereas cornstarch is not. 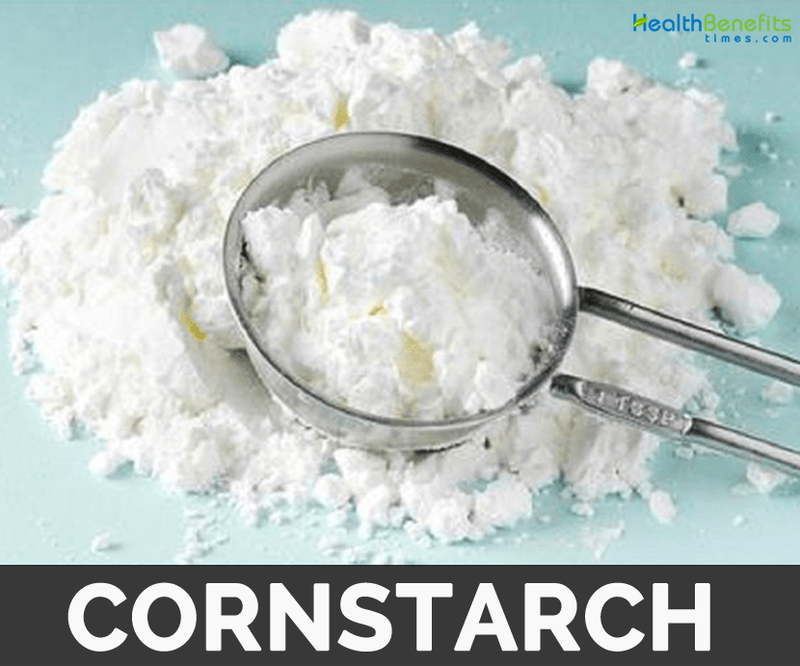 Cornstarch is beneficial for those people who are following a high carbohydrate diet plan. This includes athletes as this kind of diet gives them the extra calories they need for training and competition. Cornstarch being carbohydrate and calorie dense is also beneficial to body builders. Takes Care of Your Carpet Stains: Corn starch can be effectively used to remove greasing and stains from carpets. Dust some corn starch on the stains, allow it to stay for some time, and then clean it with a brush. Remedy for Your Oily Hair: At times when you don’t have time to wash your hair, sprinkle some corn starch on your scalp and let it sit for some time. Then brush your hair, most of the oil would have been absorbed by starch. Perfect Remedy for Sweaty Shoes: Nothing can be worse than those sweaty and stinking shoes spreading bad odor all around. Don’t worry; corn starch is there for your rescue now. Sprinkle corn starch inside those smelly shoes and socks to absorb all the perspiration. Soothes Sunburns: Corn starch can be quite beneficial for sun tanned skin. Prepare a paste by mixing corn starch and water; apply it on the affected area on the skin. Allow it to dry and then cleanse it off with warm water. Insect Bites: Treat your insect bitten skin with the same mixture of corn starch and water to get relief from itching. It is calming for the skin too. Get Rid Of Grease Stains on Clothes: Corn starch can be used to get rid of stubborn greasy stains from fabrics. Sprinkle corn starch over the stain, leave it for some time and give a regular wash.
Untangle the Knots: Don’t have tolerance to de-tangle those stubborn knots of threads? Don’t worry corn starch is there for your help. Just sprinkle corn starch on the cluster or mass of threads and you can easily straighten out the things. Clean and Fresh Carpets: Before vacuuming your carpets, sprinkle corn starch over it, and allow it to stay for some time. Then go ahead with your vacuum cleaning, you will notice that corn starch has absorbed odor and dirt leaving your carpet clean and fresh. Get Sparkling Windows: Here is a budget friendly window cleanser you can make out of corn starch. Mix detergent and corn starch in 1:1 ratio in a bucket of water, mix well and apply on to the windows. Wipe them with a newspaper or a soft cloth for sparkling shine. Homemade Face Paint: You can make face paint at home for a clown make-up or a Halloween party. Just mix corn starch and white vegetable shortening (fat made form vegetable oil) in the ration 2:1 to prepare a non-toxic grease paint. Add few drops of food color to get different colors. Matte Nail Polish: You can prepare matte nail polish using corn starch. Mix a small amount of corn starch to regular nail paint in a small mixing plate and apply immediately onto your nails. Removes Blood Stains: Blood stains are quite difficult to remove. But with corns starch you can easily get rid of those marks. Make a paste of corn starch and water, apply over the area and gently rub it. Let it sun-dry and remove off the dried paste using a brush. Repeat the procedure if needed. Prevent Your Books from Mildew: Save your pages and books that are damaged by dampness and kill mildew smell using corn starch. Sprinkle corn starch on the damp pages, so that starch absorbs all the moisture from the pages. Clean your Sticky Playing Cards: You can revive your long kept playing cards with the use of corn starch. Take out the pack of your sticky playing cards, put them in a paper bag and add 2 tablespoons of corn starch to the bag and shake well. Remove and wipe them, you are ready to play! Get Rid Of Roaches: Prepare a mixture of corn starch and plaster of Paris in equal quantities and apply the mixture in cracks. Clean Leather Stains: Corn starch acts as a best remedy to clean greasy stains on leather. Dust some corn starch powder on the stains and allow it to stay overnight, clean it in the morning using a brush. Excellent Silver Polish: Polish your silverware to a fine shine using corn starch. Make a paste of starch and water. Use a damp cloth to apply the paste onto the silver. Allow it to dry and rub it off with a soft cloth to get a fine shine. Starch Iron Your Clothes: Prepare an easy homemade spray starch which you can use before ironing your clothes to get crispy and clean look for your clothes. Pour the mixture of corn starch and water into a spray bottle for using. Treats Underarm Rashes: This is an inexpensive remedy to treat armpit rashes. Corn starch is found to soothe the underarm rashes and irritation. Clean and pat dry the area and dust lightly with corn starch. Treat Heat Rashes under Breasts: Many women have found relief with itchy rashes under breasts by using corn starch. It helps keep the skin dry and discourages the fungus growth. Natural Remedy for Diaper Rash: You can reduce baby’s discomfort caused due to diaper rash using corn starch. It is an effective and natural remedy. Corn Starch as Dry Shampoo: It can be an excellent alternative to expensive store bought dry shampoos. Sprinkle corn starch on your hair, using palm and finger tips rub it gently into your scalp for some time. You can notice oil free and fresh hair. Prepare Facial Mask: Prepare an excellent facial mask with this simple recipe. 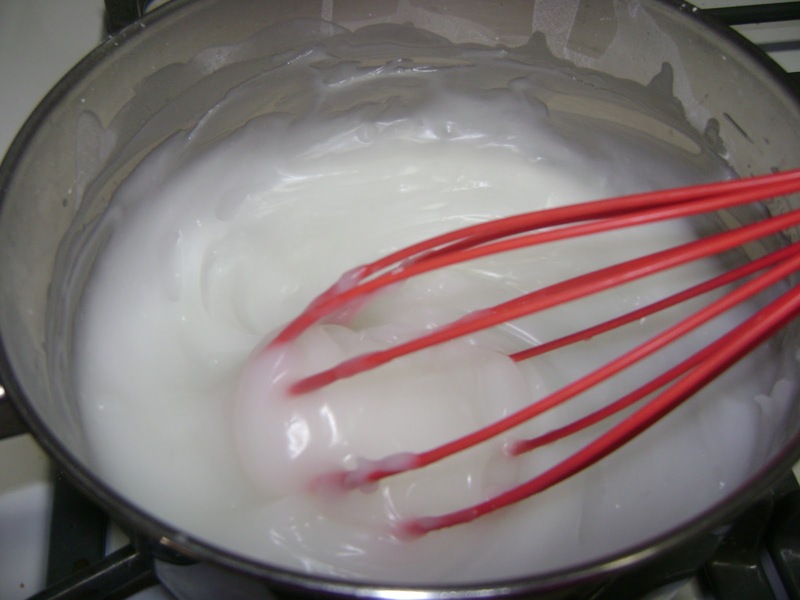 Take 2 tablespoons each of milk and corn starch, whisked with 1 egg white. Apply this smooth paste onto face, leave it for 15 minutes before rinsing off. Alternative Deodorant: Prepare an excellent deodorant at home to combat underarm odor. Mix ¼ cup each of baking soda, corn starch or arrowroot powder and shake well. It really helps reduce the sweat and bad odor. Treat Your Oily Face: Treat your oily face with corn starch by dusting a little amount of starch, so that it absorbs excess oil from your face. Clean Stuffed Toys: Sprinkle cornstarch on the stuffed toy and place it in a paper bag. Shake it well so that corn starch is coated well all over the toy. Leave it overnight and clean it with a brush or vacuum clean the next morning. Remove Excess Furniture Polish: Sometimes while polishing wooden furniture, polish residue remains off on the surface when you are done with your work. You can easily clean them using corn starch. Just sprinkle starch over the area and buff clean them. Scented Powder: Corn starch is already in the fine powder form. Add few drops of your favorite aromatic or scented oil to a jar of corn starch. Mix and shake well, your scented body powder is ready! Homemade Baby Powder: Corn starch is an excellent replacement for baby powder. Rub all over the baby after bath to absorb leftover moisture. Be cautious before using. Starch in Industrial Applications: Starch is of great use in industrial applications. It is added to yarns to increase the mechanical strength and resistance to friction wear. Boon to Pharmaceutical Industry: Starch is used in various preparations in the pharmaceutical industry. Products like sugarless sweeteners, tablets, emulsions, creams etc. all have starch as the main ingredient in the initial stages of preparation. Easy Gripping With Sports Equipment: Corn starch comes handy when you want to ease your grip with any sports equipment. Dust your hands with starch and you can handle the equipment comfortably. Corn Starch Glue: You can make a paste or nontoxic school glue using corn starch along with baking soda and vinegar. Substitute for Eggs: Corn starch can be used as an excellent substitute for eggs in recipes. Mixture of soy milk powder, corn starch and water can be used as egg replacer in many preparations. Remedy for Burns: Corn starch can be used to soothe the burn on the skin. Add 1 tablespoon each of starch and baking soda in a mug of water. Dip a soft cloth in the mixture and put it on the affected area on the skin to give relief. Solution for Athletes Foot: If you are suffering from athlete’s foot, corn starch can give you relief; spray some corn starch on your feet as well as inside your shoes. Cornstarch is the preferred anti-stick agent on medical products made from natural latex, including condoms, diaphragms, and medical gloves. Cornstarch has properties enabling supply of glucose to maintain blood sugar levels for people with glycogen storage diseases. Cornstarch is used as a thickening agent in liquid-based foods (e.g., soup, sauces, gravies, custard), usually by mixing it with a lower-temperature liquid to form a paste or slurry. It is also used in making corn syrup and other sugars. It is usually included as an anti-caking agent in powdered sugar. 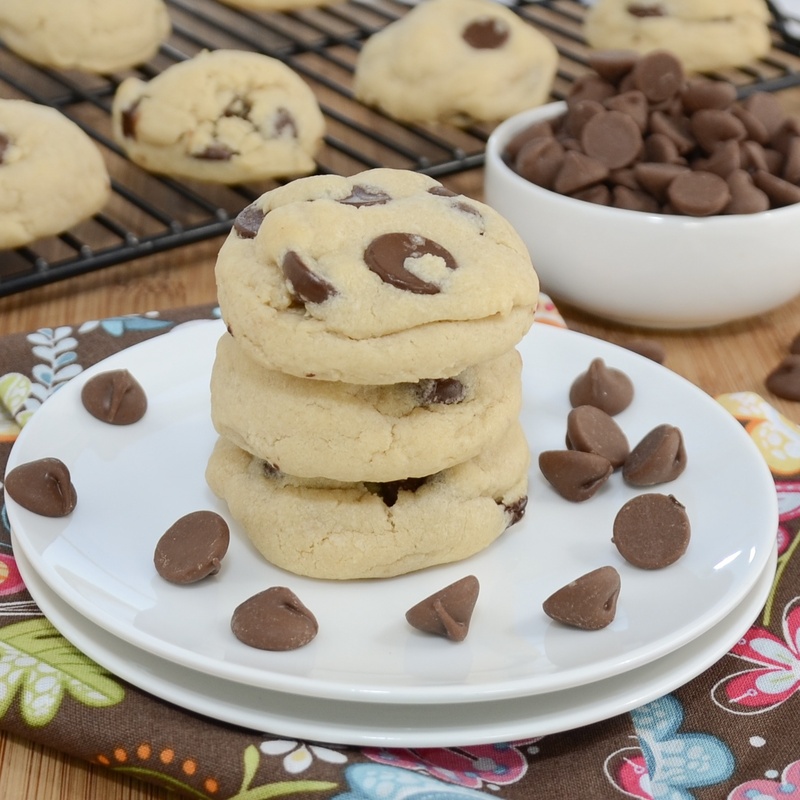 A common substitute is arrowroot, which replaces the same amount of cornstarch. Food producers reduce production costs by adding varying amounts of cornstarch to foods, for example to cheese and yogurt. Chicken nugget with a thin outer layer of cornstarch allows increased oil absorption and crispness after the latter stages of frying. You can make fluffy omelets with the help of cornstarch. Mix one-fourth teaspoon cornstarch in one egg, beat and cook the omelet. 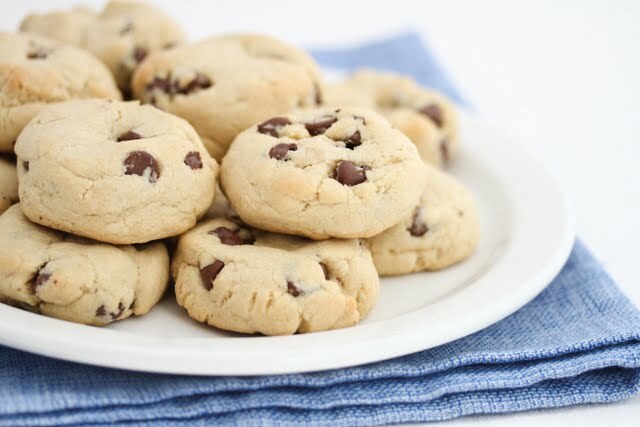 In cakes, cookies and pastries, cornstarch is often mixed with flour to produce more tender baked goods. Baby powder may include cornstarch among its ingredients. Cornstarch can be used to manufacture bio plastics. ‘Corn starch’ is also known as ‘cornstarch’, ‘maize starch’, ‘maizena’ and ‘corn flour’, although in some countries, wheat starch is sometimes labelled as ‘corn flour’. Corn starch is often used to increase the thickness of soup, sauce, custard and other condiments, as well as the mixtures of bakery items. 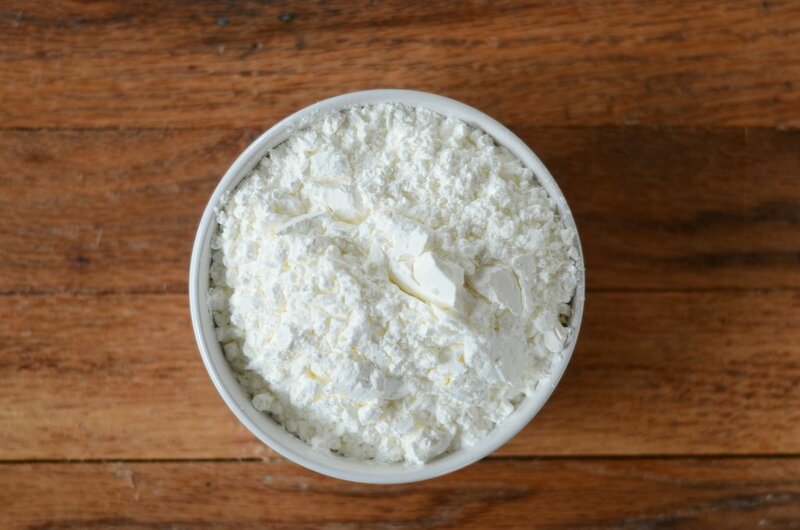 Pure corn starch is gluten free, and it can be replaced with arrowroot effectively, typically by the same ratio. Corn starch, when mixed with water in the correct ratio, produces a substance named Oobleck with properties that deflect fast moving forces but not slow-moving forces. The United States business, Colgate and Company are said to be the first to produce corn starch, in 1844, and soon after, Thomas Kingsford, an employee who is said to be the inventor, began a factory in New York to produce the substance. Corn starch is very high in carbohydrates and has small quantities of selenium and other minerals. Corn starch should not be added straight into a hot liquid as this can cause it to clump and form lumps. Do not freeze any cooked recipe that contains cornstarch. Because corn starch absorbs moisture, it is critical to keep it in an air-tight container where it will not be exposed to ambient humidity. Corn starch should also be kept away from extreme heat. Store your corn starch in a sealed container and in a cool, dry place. 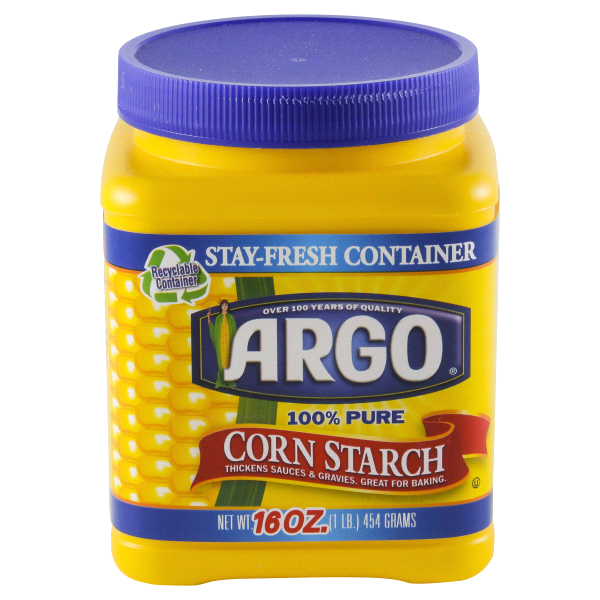 When stored properly, corn starch will last indefinitely. As cornstarch is calorie dense with no fiber or protein it should be avoided by people who are already obese or are trying to lose weight. As the intestine requires substantial time to digest it, cornstarch can cause many intestinal disorders. It should be avoided by diabetics because of its slower digestion it can increase the levels of blood sugar. Calories 488 K cal. Calories from Fat 0.54 K cal.